I have already posted the most popular Goan Fish masala ,i.e Recheado Masala in my blog. Check out the recipe here. Once the masala is ready, you can always relish on this fry as and when you want. 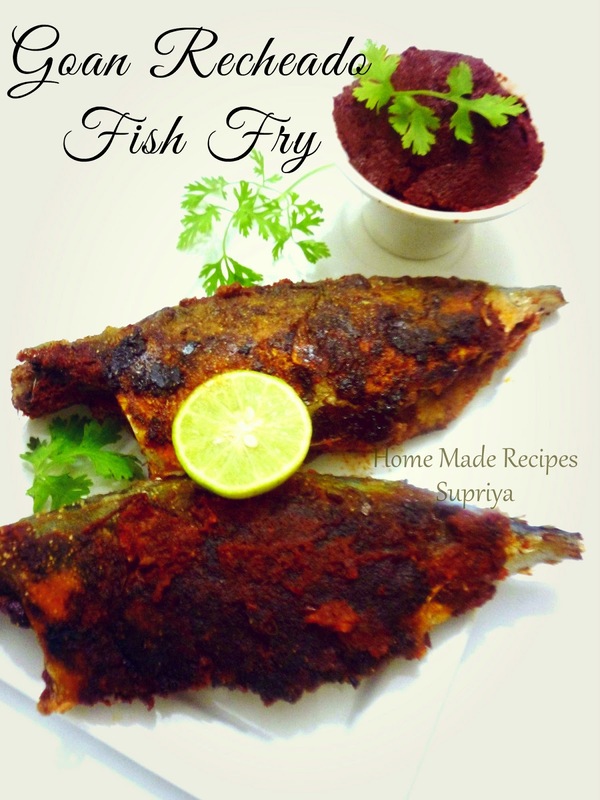 I have tried this recipe on different fishes like Bangda (Mackerel), Pomfret and King Fish. It tastes awesome as side starter and needless to say that it can be teamed up with hard drinks as most goan people prefer. I have stuffed the mackerel with the Recheado masala. 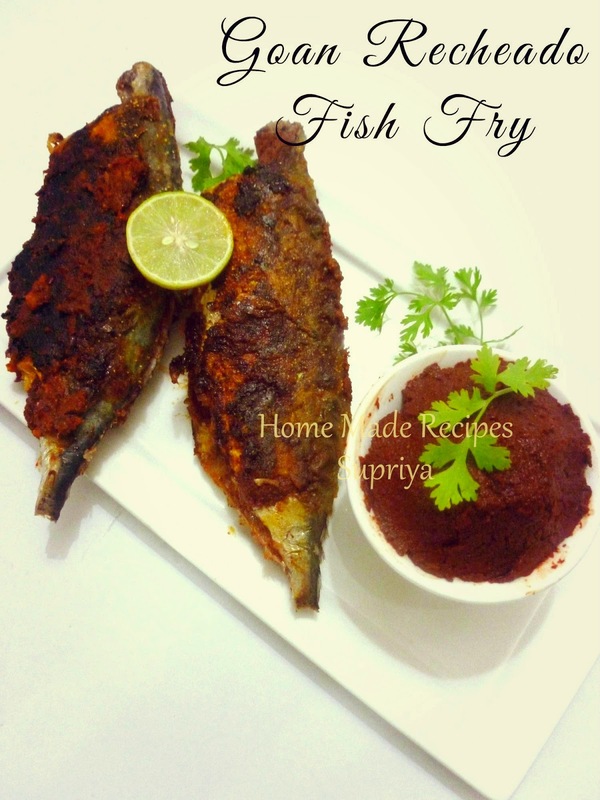 You can just make some deep cuts on the fish and stuff the masala.This Fish fry has all sorts of flavors in it - tangy, spicy and also a tinge of sweet flavor. I am also a big fan of seafood dishes especially Goan dishes. Rava Fry is my all time favorite dish. Do try it out. 1. Clean the fish and make some deep cuts on the fish. 2. Apply the Recheado Masala and salt to the fish and marinate it for a minimum of 30 mins or so. 3. Coat the marinated fish with the rice flour and shallow fry on both sides till the fish is cooked properly. 4. Place the fried fish on tissue napkins to remove excess oil and then serve hot with some onions and lime pieces.